Emails have become an essential part of communication with clients in almost all services. They are used for simple messages like registration or forgotten password as well as for marketing newsletter campaigns. Anyway emails must work perfectly. Email testing can be divided into two main parts: UX testing and technical testing. User Experience testing starts when you begin creating an email mockup. At this point you should determine an email goal and mission. Do you simply want to notify your clients about registration or start an interactive dialog with them and thus develop strong loyal relations with your audience? A well-structured layout, catchy images, meaningful wording,and fitting colors will matter here. 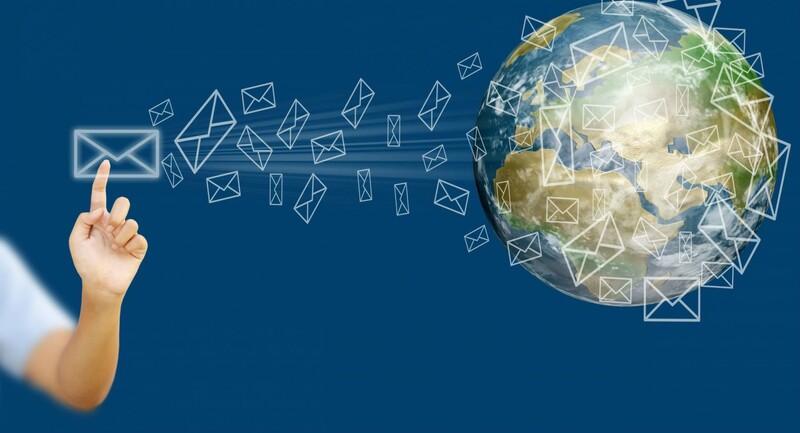 Even an email title and a subject can influence email open rates! Wording must be informative and call to open and read the email. Try to stick to a “one subject – one email” rule, it’s better not to overload people with too much information. An email main text should match the general design and provide a clear message. Headlines should be visually distinguished by another font size or colour and define the email content. If you want to provide a lot of text information in an email, use pictures to lighten it. Pictures sometimes can be used instead of a text; a chart or a mockup is always better than its description. Pictures used in an email should match your brand style, provide certain information and match the email theme. Using stock images isn’t that good of an idea, it is always better to design your own elegant and beautiful pictures. If you want to use gif animation, remember that only a few of email clients support it. But if you want to use it anyway – please stick to images with smooth animation and avoid contrast color changes. As for the color – use your corporate colors, so users will easily recognize them. Highlight all important or clickable elements with color. You can always use traditional color associations like green=eco friendly, blue=reliable, red=vigorous and active. Logo and tagline usage in header or/and footer will serve to give the company greater recognition. It is very important to find the right logo size; too small or too big one will mess up the layout. Another way to share information about your service is to provide social icon options (Facebook, Twitter, Linkedin, Instagram) that will redirect users to your social media pages. You can use default icons or slightly customized ones to fit your design icons. Icons are usually placed in the footer of the email. Mobile optimization is crucial for emails nowadays. Email open rate varies from 17% to 70% depending on your target audience and product. When creating a design for web and mobile email versions always consult the frontend developer, because emails have a lot of technical restrictions and not all designs are good for implementation. A/B testing is probably the best way to test your email marketing value such as track open rate, click-through rate, and conversion rate. The main idea of an email A/B testing is sending out two email options to your list (each half of which randomly gets one of the versions), then you analyze which email converts better. As a result in future you can send a better version and get more conversions. You can test every element in an email, but it seems better to test things with the biggest impact like an email title and description, CTA, pictures, wording, a layout of the email, personalization, special offers to be included, etc. Also it is advisable to test one item at a time, because multivariable test is more difficult to analyze. Technical testing is performed when the email sending functionality is done and emails are sliced and compiled. Only email clients testing has more than 40 combinations to check. There are a lot of services like Litmus and Email on Acid that can help with email clients testing, but you should not rely on those completely. There always appear issues that can be tracked on real devices only. As you see email testing isn’t that quick and easy and requires many skills and efforts. But it is totally worth it as emails perform direct communications with your clients and help growing your business.